The type of course available varies depending on the park. *The age limit varies at each park. Please confirm it with the park you wish to attend. About participants under 18 years old. Participants under 18 years old must be accompanied by a supervising adult. Children under third grade must be accompanied by a supervising adult. One adult (18+) may supervise up to two under-18s. One adult (18+) may supervise up to five children. *The price and conditions may vary depending on the park, to confirm please check the park information page. Participants must wear harnesses to use the course. 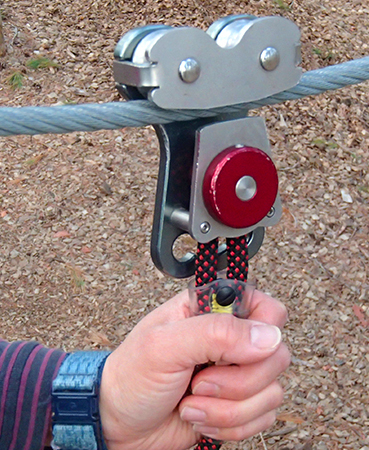 While they are on the course they are connected at all times to a safety system by carabiners and pulleys, which are joined to their harnesses by safety lines. This is called the belay system. Because of this, if participants slip while on the platforms (which have no fences or handrails) or crossings, they cannot fall and hit the ground. Therefore the courses are safe. 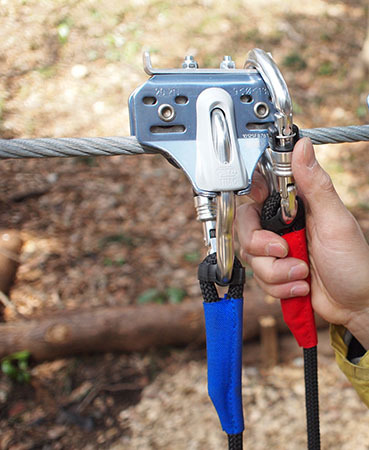 Forest Adventure uses two different types of belay system – known as self-belay and continuous-belay. At each juncture of the safety system, participants move their safety lines from one section to the next. Because there are two safety lines, the participant is always connected by at least one. 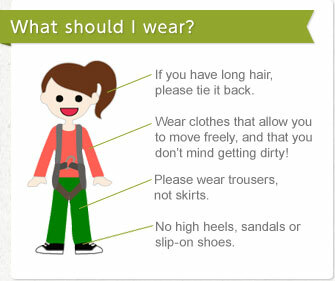 Conditions of participation are different at each park, so it is recommended to check the website beforehand. Participants are required to sign a risk acknowledgement and disclaimer before using the course. 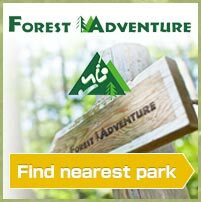 Participants must follow Forest Adventure’s safety rules, or they are not permitted to use the course. Participants are not permitted to use the course under the influence of alcohol or drugs. Please wear clothes that allow ease of movement. Sandals are not permitted. Prior reservation is recommended to prevent disappointment.